Xiamen Uni-Green Plastics Co., Ltd.
ABS Shower Drain Base With Decoswirl Style Grate, China Plastic Floor Drain Base manufacturer. 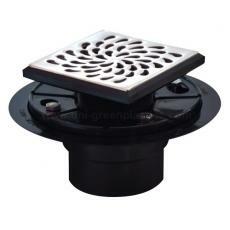 ABS Shower Drain Base With Decoswirl Style Grate(Plastic Floor Drain Base) has been presented above, want more related products, please click the category below. Copyright © 2018 Xiamen Uni-Green Plastics Co., Ltd All rights reserved.